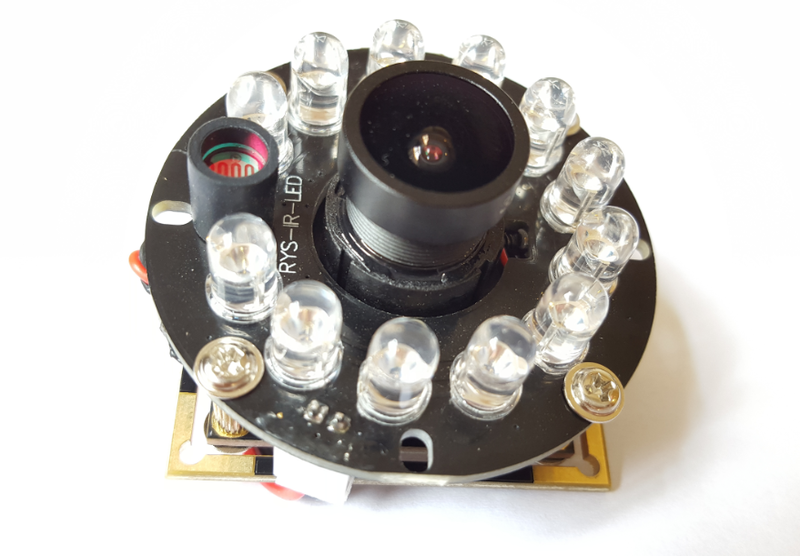 Unlike most other camera modules which normally have 4-6 LED lights, this module has 12 high quality LED lights and they give more light. When these lights are on, it consumes about 270mW electric current; when they are off, it takes 180mW electric current. 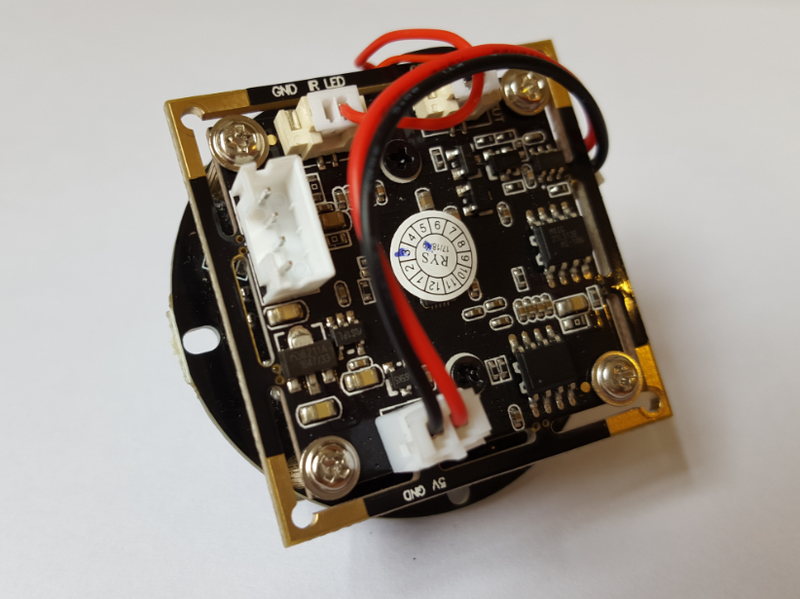 If you don't need night vision or these LEDs, you can take off the LED board. 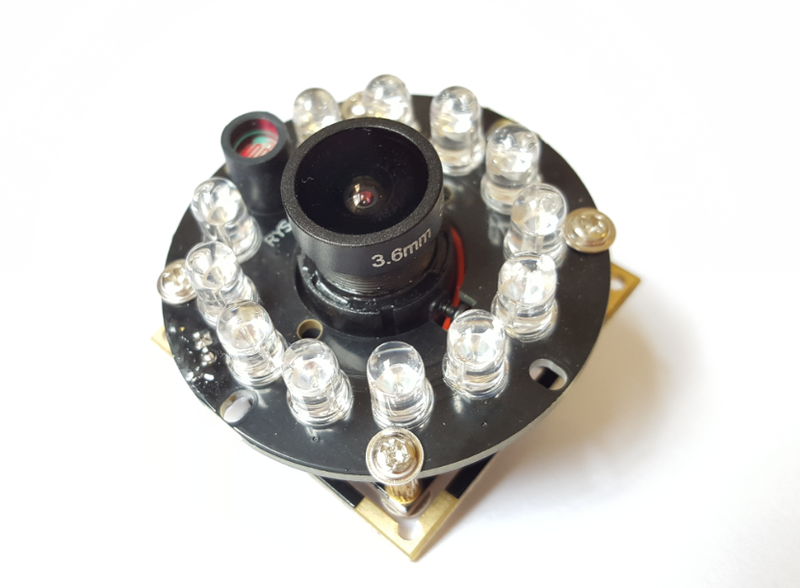 The current module size is 38MMx38MM (compatible with 32MMx32MM), we can adjust module size & shape as per your requirement; We can change lens view angle from 40° to 220°, and we can also change its focal length from standard 3.6MM to 16MM. 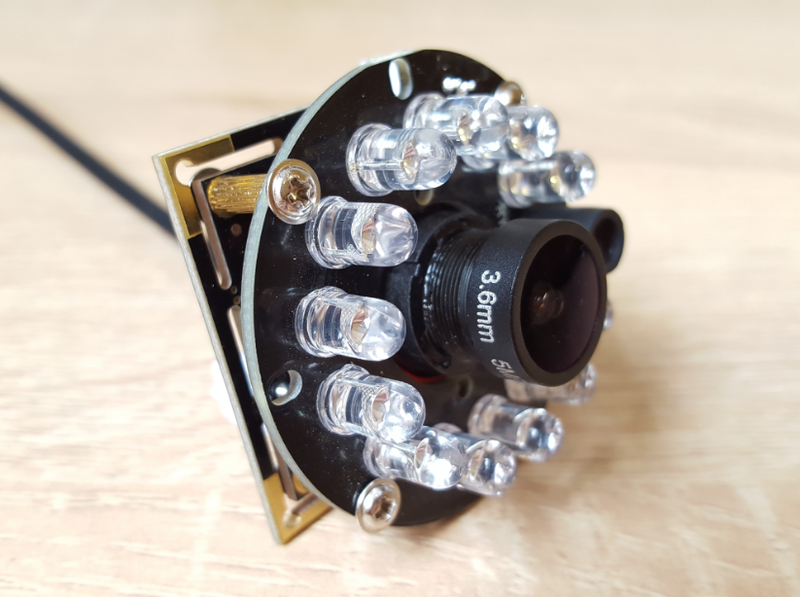 They are widely used for many applications like CCTV, security, safety, surveillance, access control, monitoring, machine vision, face recognition, automotive, imaging, robotics, artificial intelligence, computer vision, 3D, gaming systems, and so on.